Karate Kid-O is a fun little project that can be made using any size of seed bead or Delica, in brick or peyote stitch. 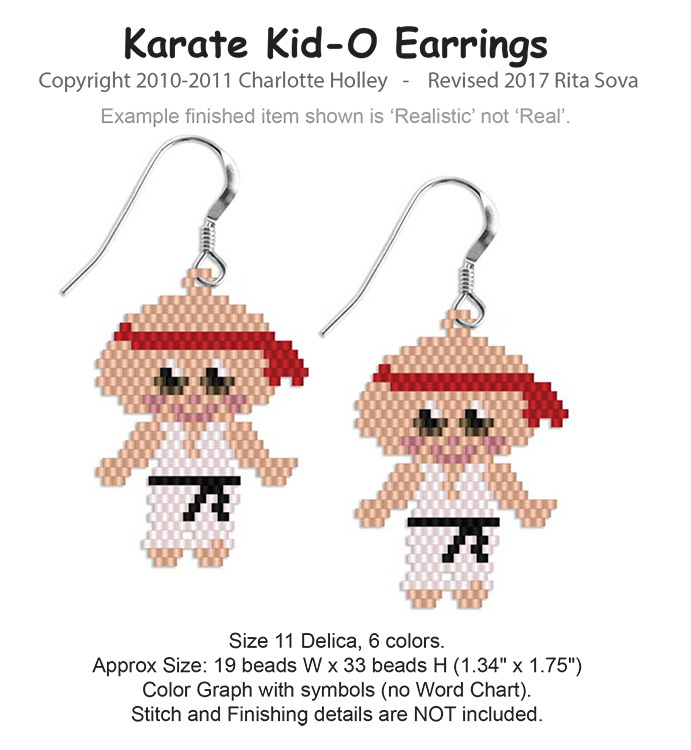 Karate Kid-O is one of the "Children of the World" collection I am making for a mobile for my first great-grand baby! I hope you enjoy him and the other figures of this series!